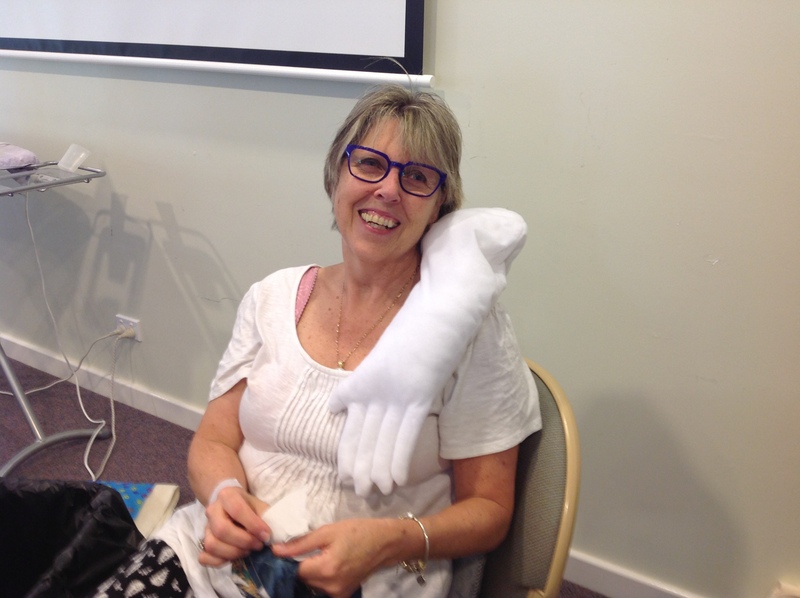 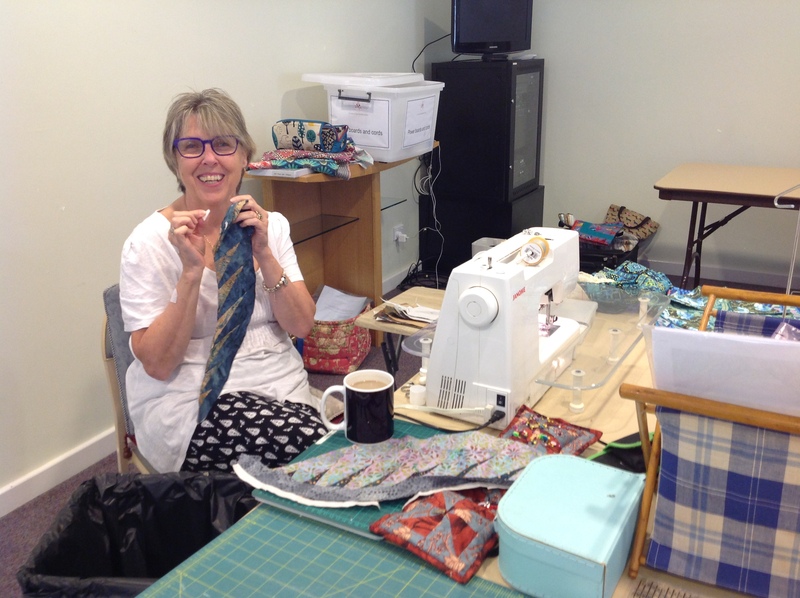 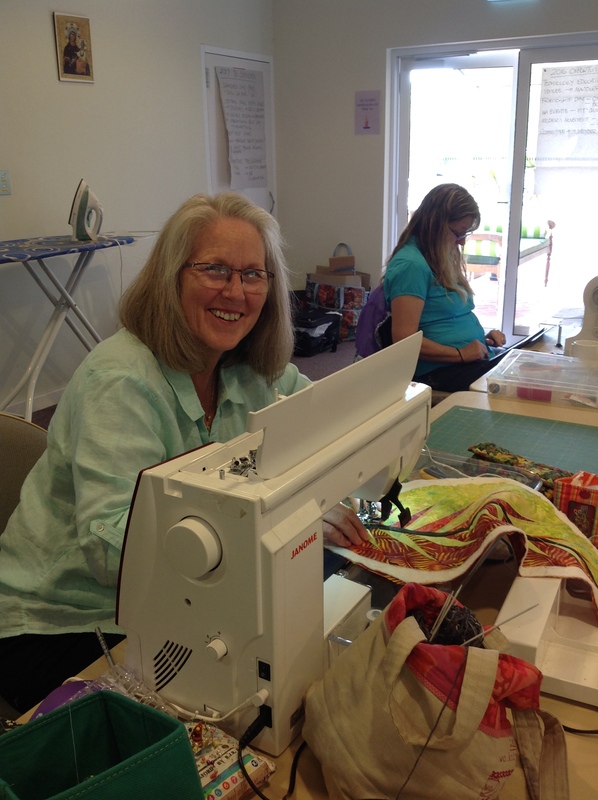 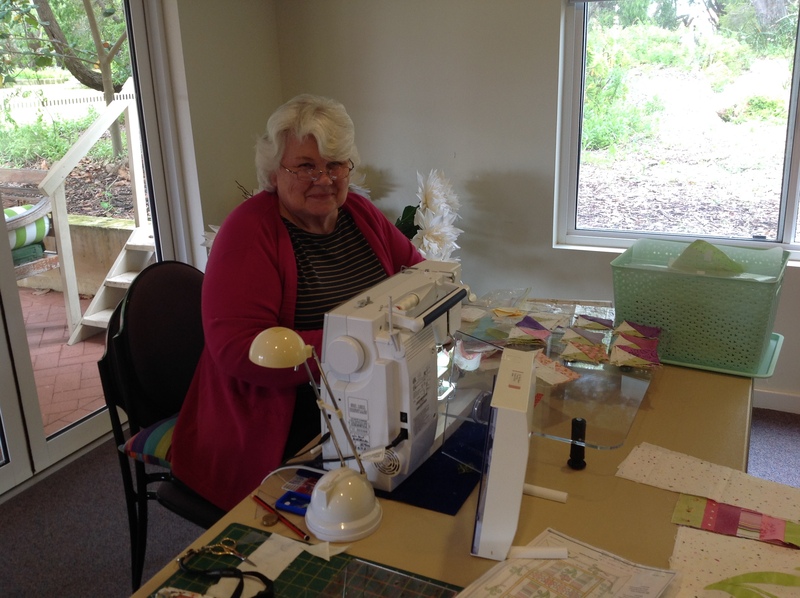 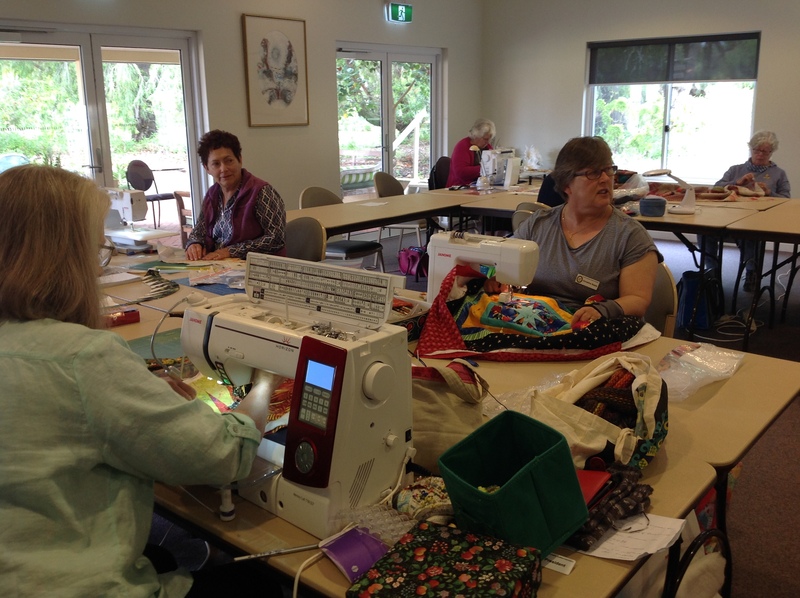 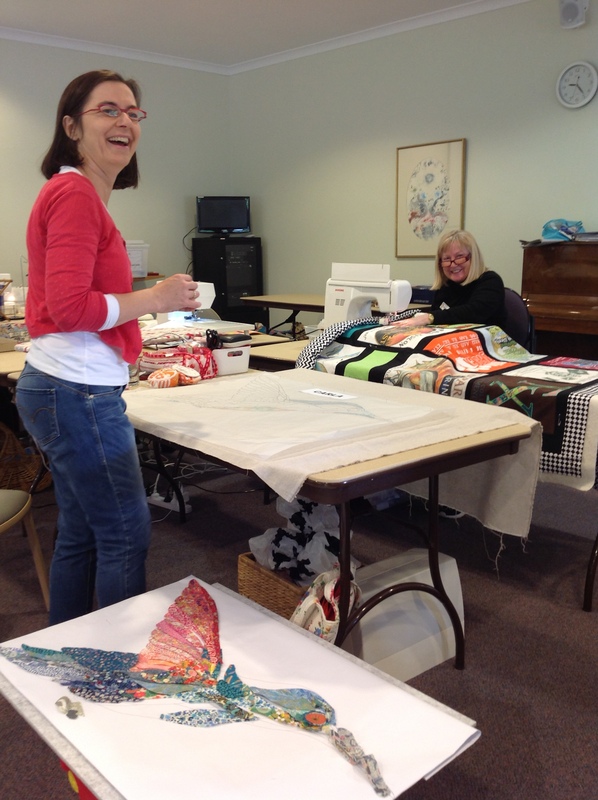 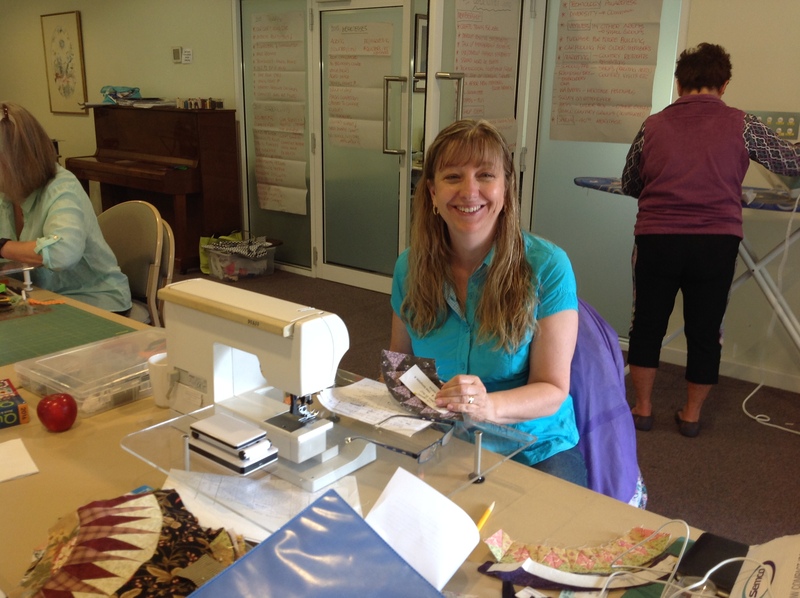 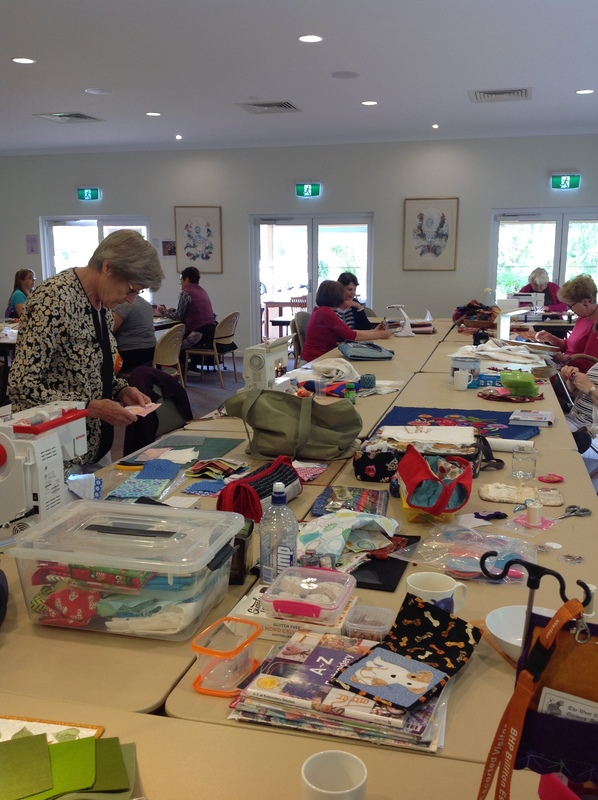 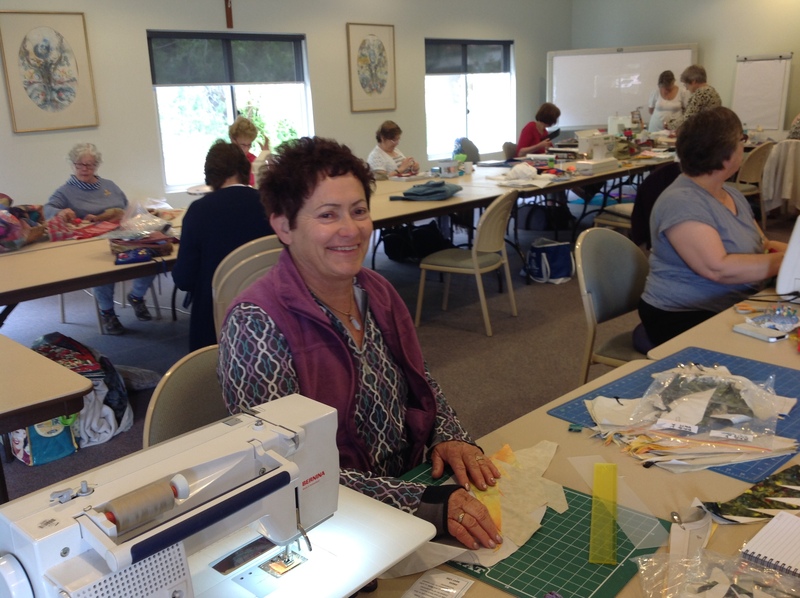 Each year the incoming and outgoing committee head off for Shoalwater for two days of stitchery, bonding and laughter. 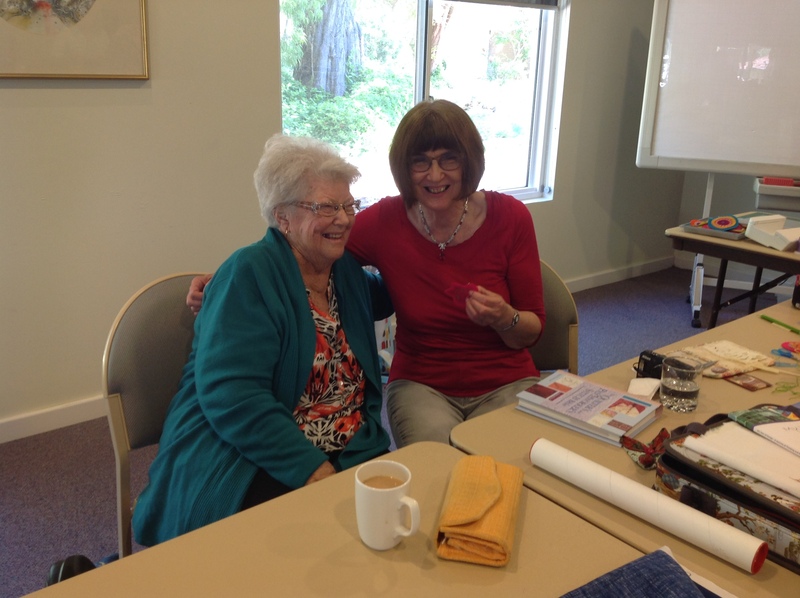 We even had a couple of mini workshops, some tai chi in the garden, a drop or two of wine and a surprise visit from Moya! 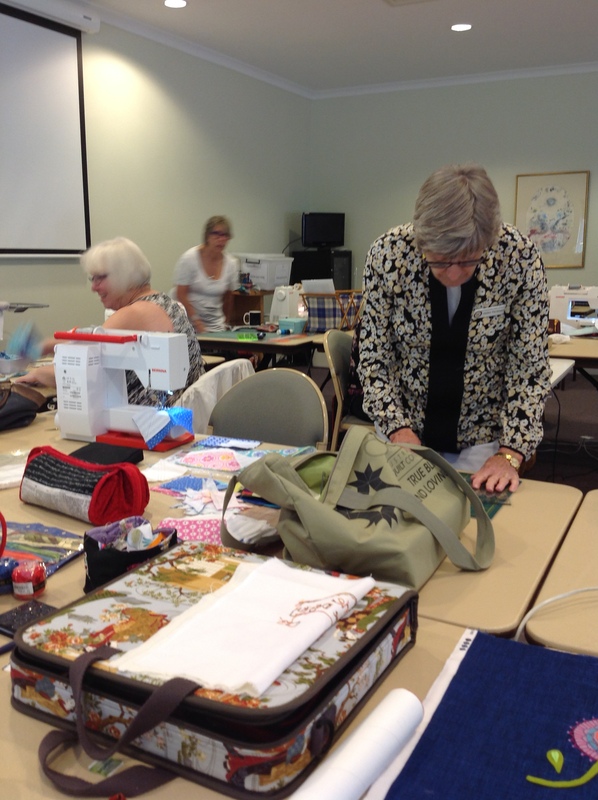 There was a bit of planning for next year and lots of enthusiasm for new initiatives.